Fans of the Thick of It will know that swearing and politics go hand in hand, just like absinthe and madness. However, even the least politically-aware of us knows that our politicians hide their sweary sides well away from the judgemental glare of the public eye. Two Jabs excepted, Western MPs prefer to portray a glittering veneer of moral pulchritude. 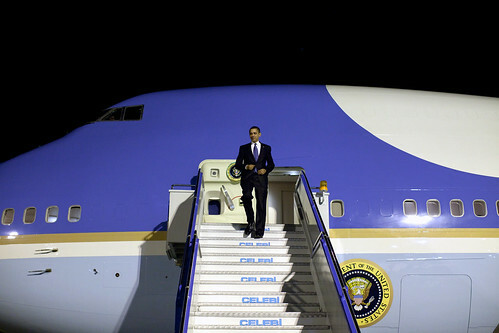 And it’s sensible to think that, the more senior the political figure, the more protective he or she is of that image. Well, think again. 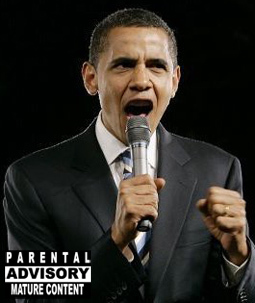 President Barry Obama is swearing like a trooper in these outrageous MP3s. Uncovered by endearing, oddball music curator, April Winchell from Barry’s Dreams from My Father audio book, they show the President ain’t shy of sounding more like Pulp Fiction’s Jules Winfield than President of the US of A. Tune in – it’s the s***. If you’re into photography – this from National Geographic is also well worth a regular look. And while I’m at it, the pictures in this travel article are just amazing. I want to go!